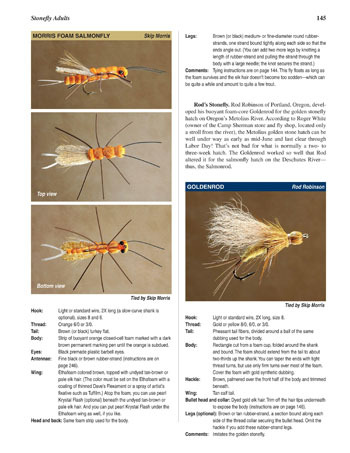 Most fly pattern books simply include the barest information and a photo of each fly design, or "pattern"—as a result, most tiers can't figure out how to tie many of the flies, and then may tie them incorrectly. 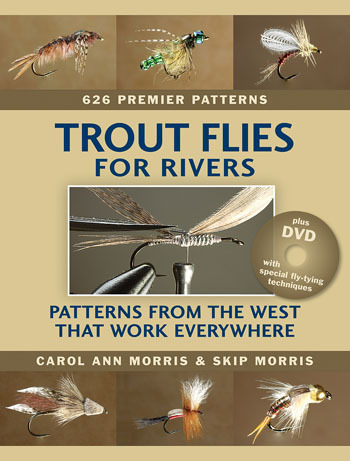 Not so with Trout Flies for Rivers—many of the flies are shown from two or even three angles, the information for complex flies includes tying instruction and sometimes even tying steps with captions and photos to help you tie all 626 flies in the book. There is even information on the insects the flies imitate. 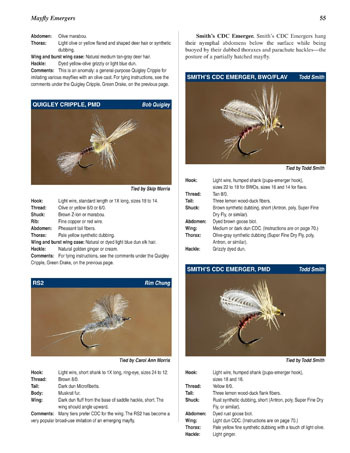 Finding the right hook is no easy challenge these days with all those hook companies and hook models—but inside Trout Flies for Rivers is a carefully researched hook chart to help you match similar hooks between different companies. You'll be using this chart for decades. In a sleeve inside the back cover, is a step-by-step tying DVD on which Skip shows you how to make some of the book's most challenging techniques and fly designs work for you (this DVD covers the most unusual and interesting thirteen of the thirty-one sequences outlined in the book). Looking for a particular fly, a tying sequence, or a fly designer? Really handy resources in the back of the book are the Index of Fly Patterns, an Index of Tying Sequences, and an Index of Fly Designers. 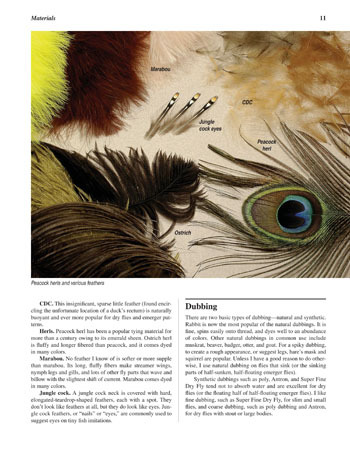 Top Left: the fine points of selecting fly-tying materials and tools are explained, and displayed in rich color photographs. Top Right: unlike most fly-pattern books, this one ensures you have all you need in order to tie every fly. 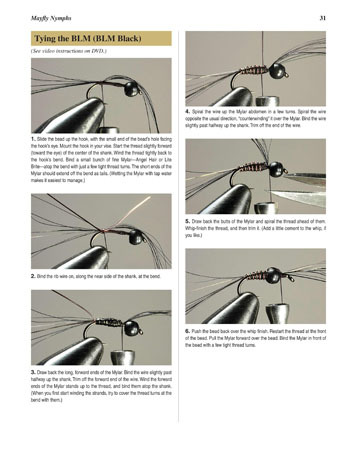 Especially unusual flies and tying techniques are taught with step-by-step photos and captions. Top Left: flies are often shown from two or even three angles to help you really understand what the fly looks like. Top Right: a sample of the thorough fly dressings and large color photographs throughout the book. 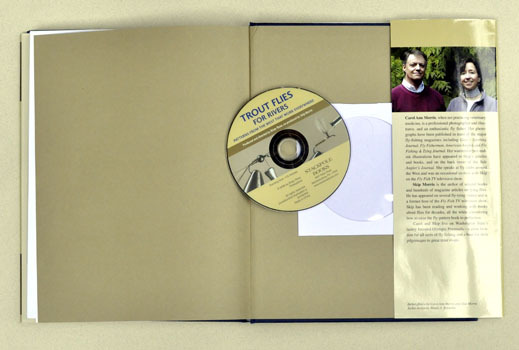 You can buy Trout Flies for Rivers from Feather-Craft Fly Fishing (St. Louis, MO), one of the biggest and most trusted fly-fishing mail-order houses in the business.